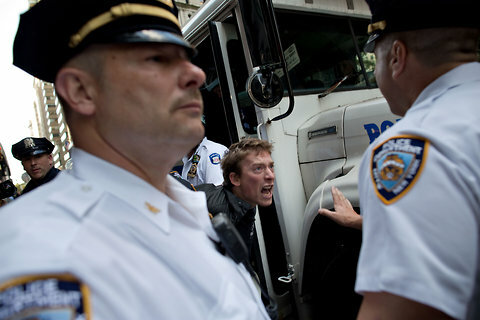 The one-year anniversary of Occupy Wall Street is a time for reflection… and laughter. Check out Nato Green (from Laughter Against the Machine and a writer for Totally Biased with W. Kamau Bell) talking about the Occupy Movement, drum circles (of course) and poop. On Tuesday, with the support of neighbors, housing activists, and OWS protesters, a homeless family–Alfredo Carrasquillo, Tasha Glasgowa and their three children–took up residence in a foreclosed house in East New York.